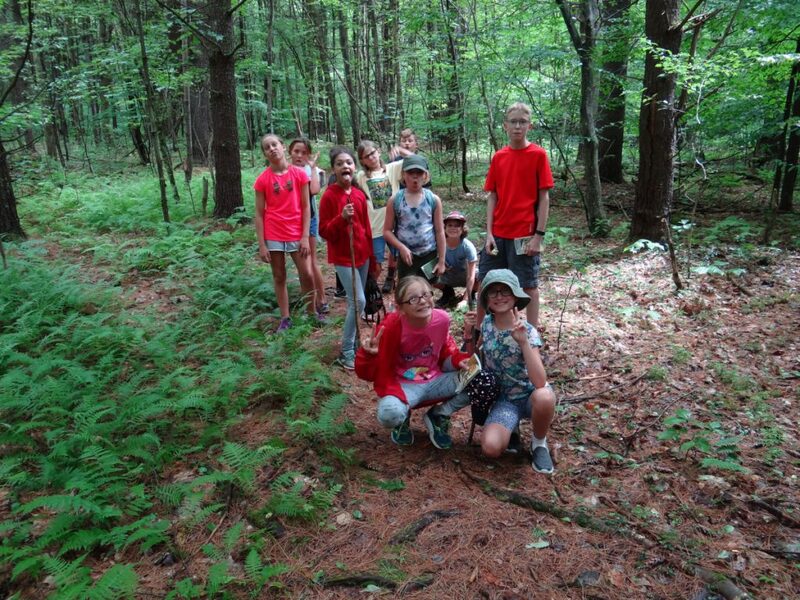 2016/17 marks the 50th year of operations for Delaware-Otsego Audubon Society. The organization is set to kick off this special time at the Annual DOAS Charter Dinner, to be held on Friday, October 21, 2016 at the Holiday Inn, 5206 NY-23, Oneonta. A social hour will begin at 5:30pm with dinner scheduled for 6:30pm and the evening’s special program featuring photographer, Warren Greene at 7:30pm. The cost for the full evening is $28 per person with no charge for those wishing to attend only the program portion of the event. A cash bar will be available. Our guest keynote speaker for the evening will be Warren Greene, of Gloversville, New York. Mr. Greene will present bird and nature photographs with a mainly Adirondack theme. His work has been well published in books, magazines and calendars and past presentations have always been wonderfully received. Warren has used a Leica film camera since he began taking pictures in 1976, and in 2013 he made the switch to digital, using a Nikon D10 camera. His presentation on October 21 will consist of ALL NEW photos, unseen by anyone until this special night! “We hope many people will join us as we celebrate the start of our 50th year with this special program. We are planning a great year ahead in conjunction with this milestone”, stated Susan O’Handley, DOAS Co-President. Reservations (for both online and print/mail forms) can be made through the www.doas.us website or by contacting Board Member and Charter Dinner Chair, Julia Gregory at 607-563-2924. Warren Greene started photographing as a hobby in 1976, within a year from his college graduation. He worked for the Probation Department, retiring at the end of 2009, and shortly thereafter started working part time at the Family Counseling Center, easing into retirement from there presently. He has been a County Supervisor for the past three years, representing Gloversville. Warren has been published widely, including Birds and Blooms, Adirondack Life, and the Conservationist magazines. He co-authored the book Birds of the Adirondacks. 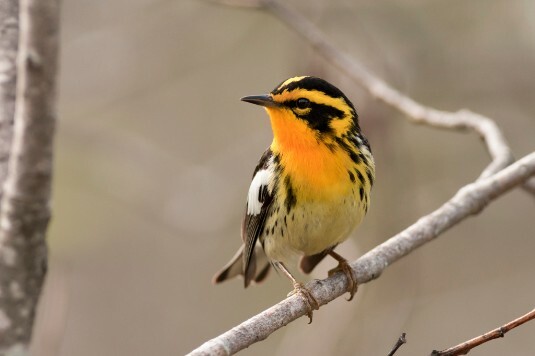 The Academy of Natural Sciences in Philadelphia owns many of his bird photos, and he was named photographer of the month at the Cape May Bird Observatory in 2009. Warren continues to give slide shows, but this will be his initial showing of his digital photographs. All of the images will be new to everyone, and will include birds and nature of the Adirondacks with a few other treats as well! We look forward to viewing nature through the gifted eyes of Warren Greene! 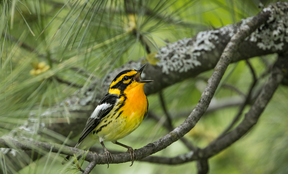 PHOTO: Blackburnian Warbler, Image by Warren Greene, Used with permission.